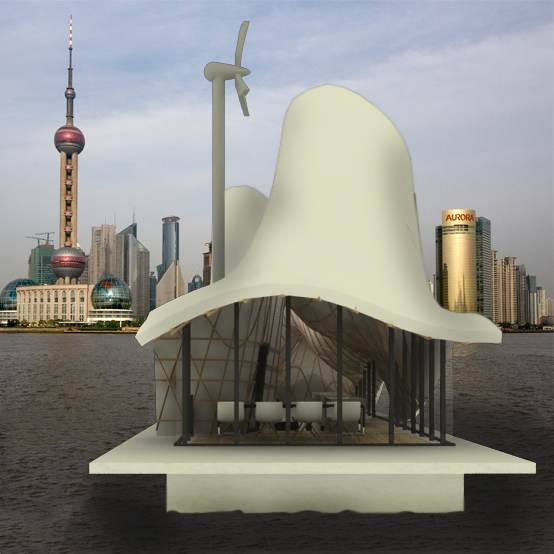 In co-operation with Trefoil this self-sufficient office-boat is under development.This design can be realized by using the Blowing Structure Method by Arno Pronk. In this building, the TU / Eindhoven and several other companies also demonstrate innovation in construction. 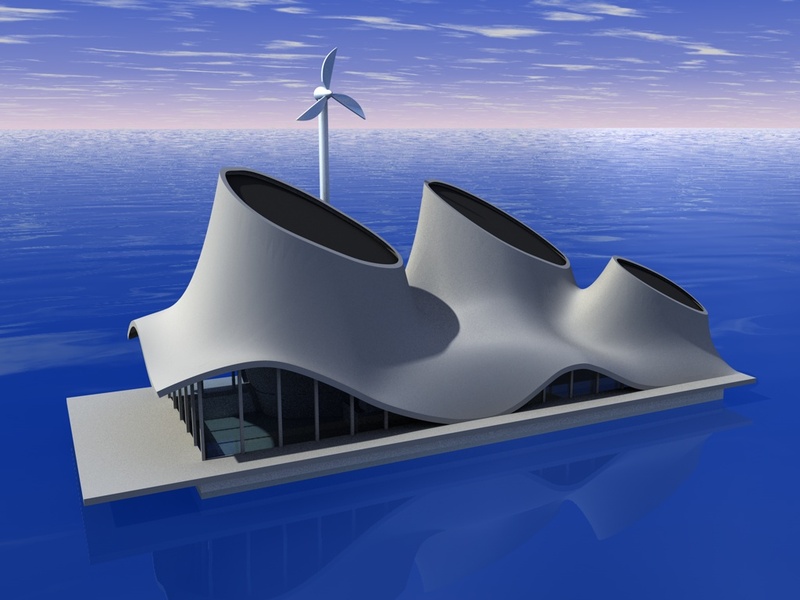 This boat is provided with numerous sustainable installations en techniques. See the poster below! In co-operation with BAM Concrete Technics and Tentech we are working on an innovation-demonstration building for the marina in IJburg. The Design is done by Egon Kuchlein. 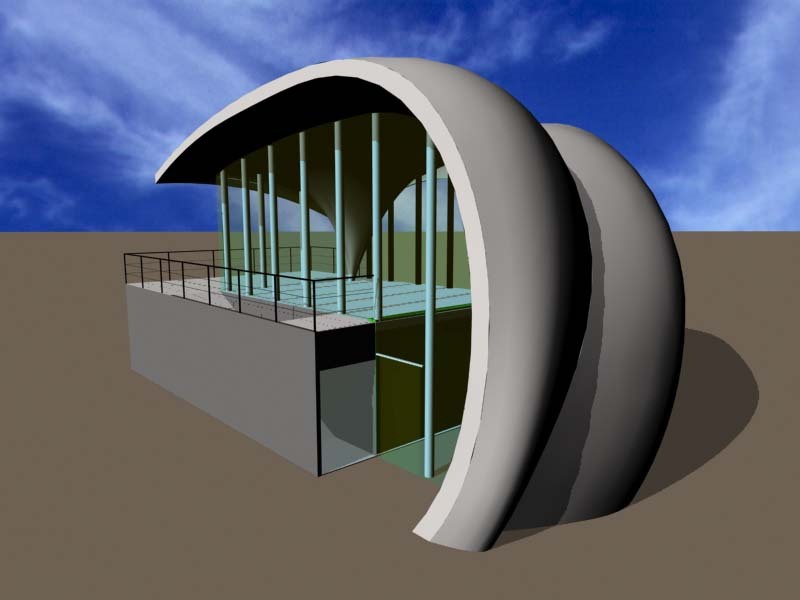 This design can be realized by using the Blowing Structure Method. In this building, the TU / Eindhoven and several other companies demonstrate innovation in construction. 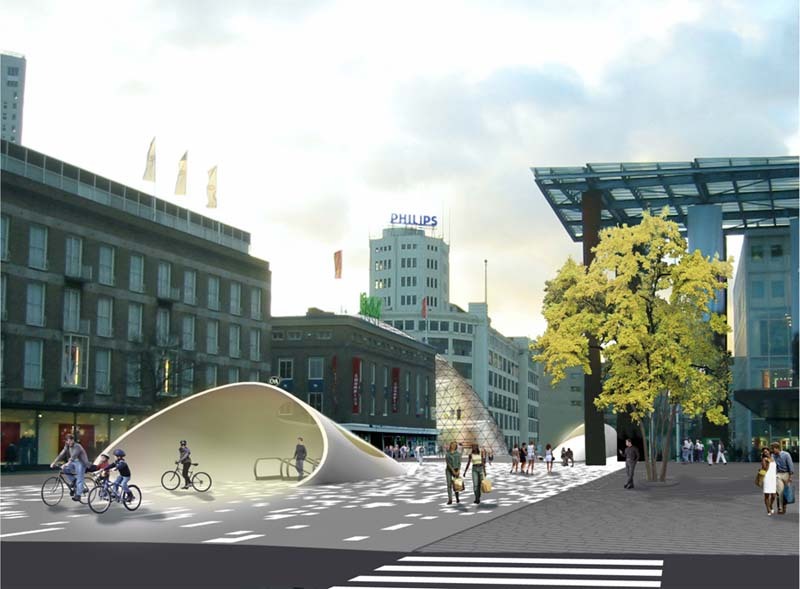 At this moment some elements of the research "' 'making freeform architecture with membranes' are used a the entrance of an underground bicycle cellar under the 18 september square in Eindhoven, designed by Massimiliano Fuksas. 3 inflated baloons are connected to eachother and then covered with nets. 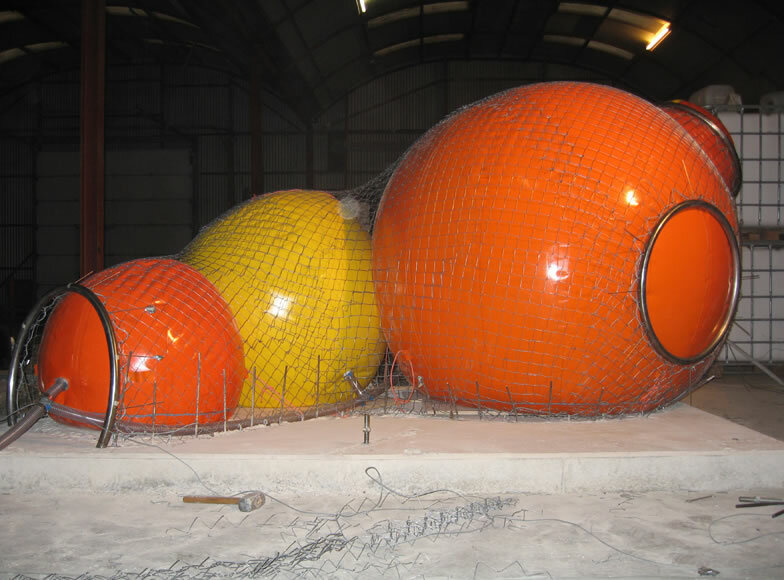 After this, the surface is sprayed with concrete and when the concrete is hardened the balloons will be removed. Now the playing object is ready to use! 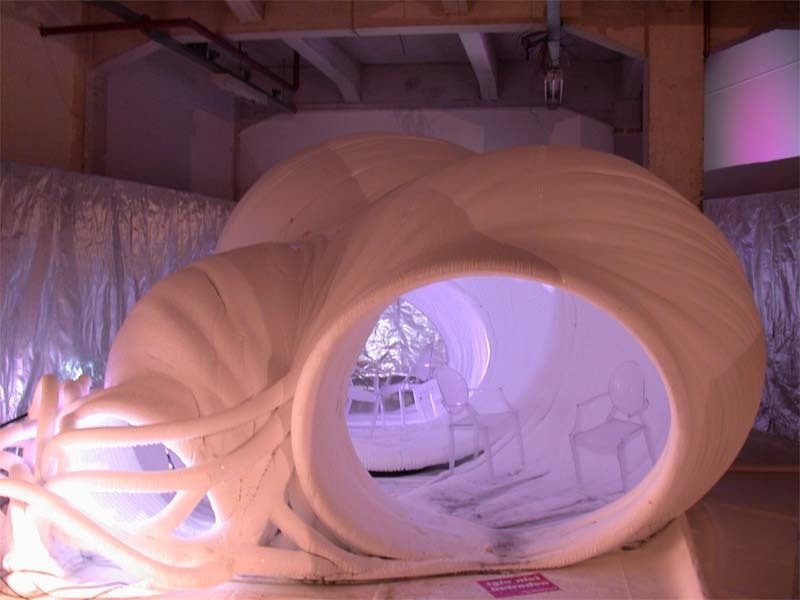 With the help of pneumatic moulds in combination with nets around it a freeform structure can be realized. The form gets a skin by spraying a liquid material that later solidifies. This can be concrete, polyester and even ice. 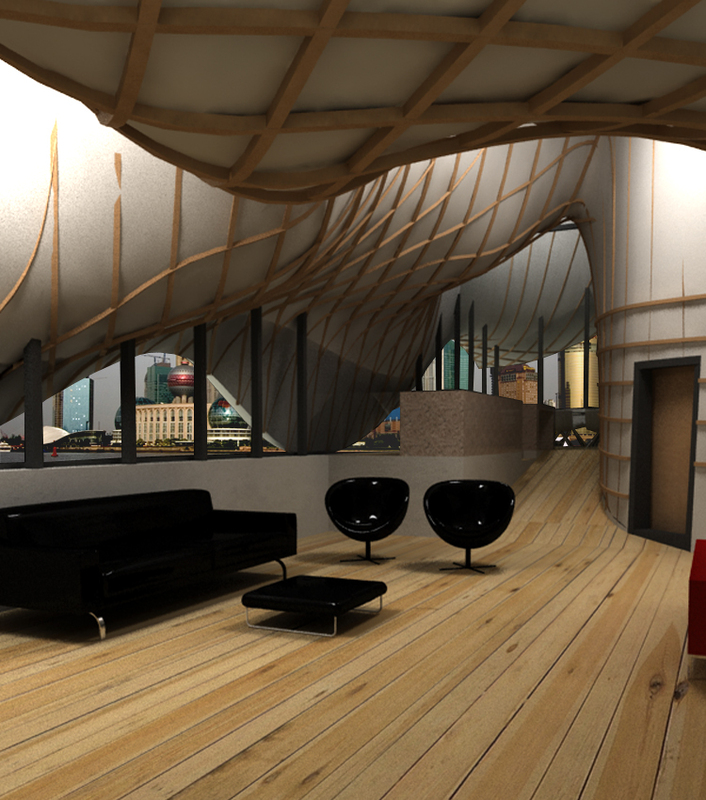 Design/ Construction: Jurgen Bey / ir. A.D.C. Pronk, Dees linders and Mariska van de Berg. See movie under 'links' at this website. 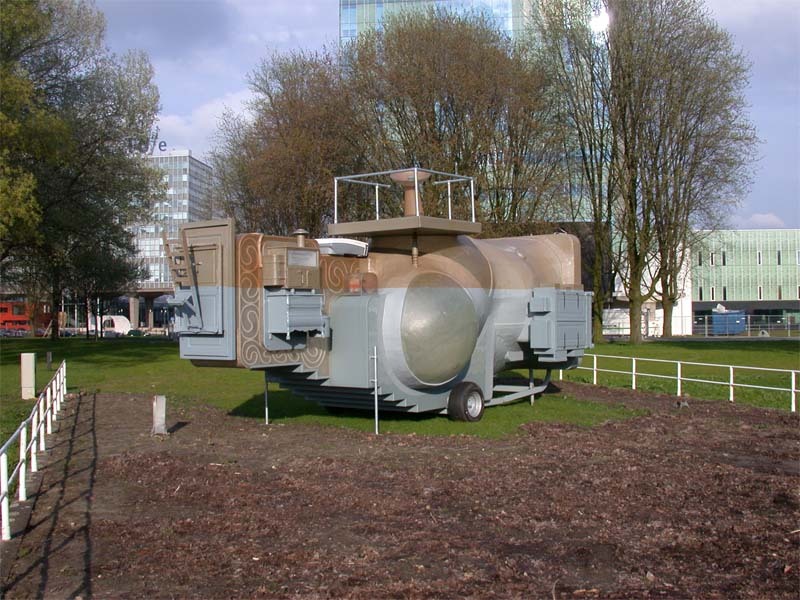 Here we see the concept and design for a artpavilion on the campus of the Technical University in Eindhoven. The shell is made of glass-fibred polyester composite. The mould of the structure is made of PVC coated polyester membrane.